The offensive coaching staff under new Broncos head coach Vance Joseph is continuing to come together. The Broncos hired Mike McCoy as offensive coordinator and his offensive line coach when he was the head coach of the Chargers will be coming to Denver as well. The team announced Saturday that they have hired Jeff Davidson as their offensive line coach. Davidson played for the Broncos from 1990-93 and has been a coach in the league since 1995. 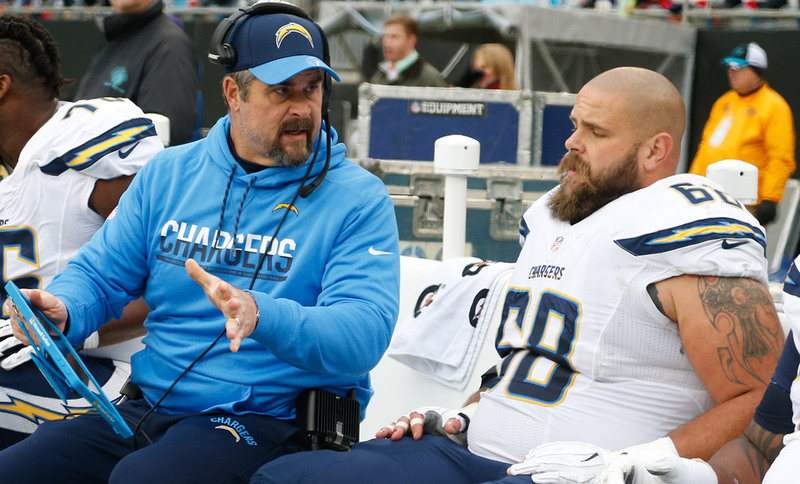 He was the offensive coordinator for the Panthers from 2007-10 and the offensive line coach for the Vikings for 2011-15 before making the move to San Diego to work for McCoy. The Broncos haven’t made an announcement regarding running backs coach Eric Studesville, but Mike Klis of KUSA reported Friday that he will remain on the staff. Studesville had an interview with the Jets for their offensive coordinator vacancy, but Rich Cimini of ESPN.com reports the Jets want to talk to other candidates and Studesville apparently opted for a sure thing. Klis also reports that Luke Richesson will remain on board as the team’s strength and conditioning coach.